When Maya leads a rebellion in class, Riley joins in to try to be like her - much to her father, Corys, dismay. In an attempt to get the students in his class to stop texting and communicate in person, Cory gives them a homework assignment that teaches them how to communicate face to face, ultimately sparking a real connection between Riley and Lucas. Riley becomes jealous when another girl flirts with Lucas, so she enlists Maya and Farkles help to learn how to flirt too. Cory struggles with Riley growing up when he learns shed rather go to the school dance then participate in their yearly tradition of riding the Coney Island roller coaster. 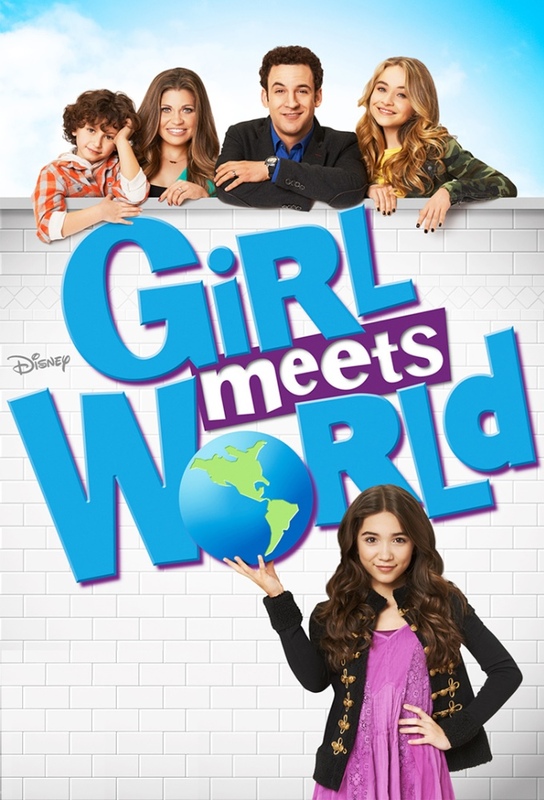 Simultaneously, he is dealing with the outcome of giving Maya an F.
After Cory teaches a lesson on truth, Riley and Maya struggle with whether or not it was right to lie to Farkle and tell him he’s a good actor and if Maya should keep the locket she found, even though it doesnt belong to her. Riley is surprised when she gets invited to a party that doesn’t include Maya. However, once she arrives, she soon learns it’s a party filled with unpopular classmates. When Maya’s artwork is featured at a school event, Riley sees it as an opportunity to help Maya mend her relationship with her mother. Meanwhile, Cory and Topanga get a surprise visit from their childhood friend Minkus. The kids face a trilogy of terror when Riley has a sleepover at Mayas with her Gammy Hart and pet ferret. Auggie confronts the monster under his bed, and Farkle tackles his most terrifying fear yet - playing softball. A classmate teases Farkle for being different and not fitting in with the crowd. Hurt and confused, he stops going to class until Riley, Maya and Lucas rally him to show their classmates how to respect each others uniqueness and show compassion to those who need it, no matter who they are. Cory and Topanga are going out to celebrate their anniversary and decide to let Riley babysit Auggie for the first time. She enlists Mayas help, which leads Auggie to rebel against the girls. The Matthews clan hosts holiday dinner; Rileys grandparents and her Uncle Joshua come over, while Topanga stresses about her cooking skills; Coreys best friend Shawn sees his likeness in Maya and bonds with Riley. Riley invites her friends along to join the traditional Matthews Family Game Night, and Maya is excited to learn Rileys Uncle Josh is joining as well. Maya is celebrating her 14th birthday with Riley and the Matthews but is struggling with the fact that her mom probably wont be able to join them. Meanwhile, Cory and Riley devise a plan to setup Mayas mom with Shawn when he pays a visit.